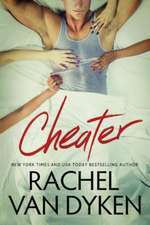 Rachel Van Dyken is a New York Times, Wall Street Journal, and USA Today bestselling author of several Regency and contemporary romance series and stand-alone novels. When she s not writing, you can find her keeping Starbucks in business or plotting her next book while watching The Bachelor. She currently resides in Idaho with her husband and two boxers. Readers can follow her writing journey at rachelvandykenauthor.com. De (autor) Rachel Van Dyken et al. De (autor) Leah Sanders et al.